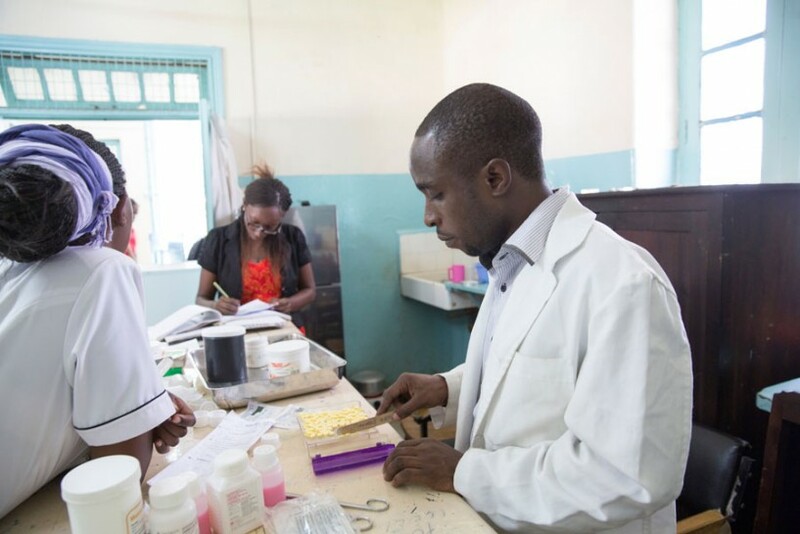 QuanTB improves procurement processes, ordering and planning for TB treatment. By alerting users to risks of stock-out and overstock, QuanTB operates as an early warning mechanism. SIAPS has trained NTP drug management staff and partners from twelve countries to use QuanTB; of these, nine* have adopted it as the national tool for quantification and monitoring of TB medicines (Bangladesh*, Ethiopia*, Kenya*, Malawi, Mozambique, Nigeria, Philippines*, Tajikistan*, Tanzania*, Uganda*, Zambia*, Zimbabwe*.) SIAPS also worked with the Stop TB Partnership Global Drug Facility (GDF) to integrate QuanTB with the early warning stock-out system as a part of global forecasting for TB medicines. Within the first six months of implementing the tool, six countries reported to SIAPS on their use of QuanTB for medicines tracking and the decisions made based on QuanTB data. Results were impressive: the percentage of countries that reported a stock-out of at least one first-line TB medicine decreased from 100 percent (5/5) to 0 percent (0/5), while the percentage of countries that reported a stock-out of at least one second-line TB medicine dropped from 50 percent (3/6) to 17 percent (1/6). In Bangladesh, SIAPS partnered with the NTP, WHO, and local TB organizations, using QuanTB to analyze the rates at which TB patients were enrolling in treatment and refine projections about how many cases to expect in the future. As a result of these calculations, the NTP identified certain medicines that were overstocked and likely to expire before being used, and others that were at risk of stocking out based upon QuanTB outputs. SIAPS then led the partnership in using QuanTB to determine the most effective ways to adjust orders. As a result, Bangladesh was able to postpone and reallocate about 2.5 million dosages of TB medicines shipments, saving over $899,000 USD of country and donor funding. The new QuanTB (version 2.0.0) is available for download, along with a comprehensive user guide, on the SIAPS website at: siapsprogram.org/quantb. Feedback and questions are welcome through the QuanTB forum.